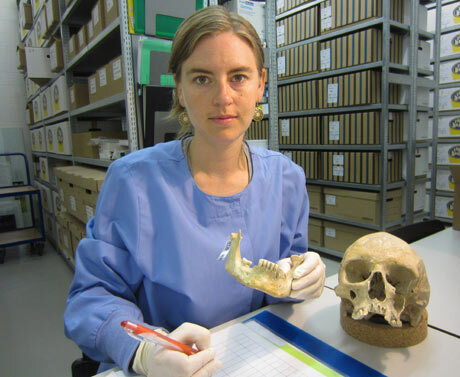 Despite the title of this post’s link, the reason Christina Warinner gives for it being a good thing that our ancestors didn’t floss their teeth is completely selfish on her part, because if they had flossed, there wouldn’t be any calcified dental plaque on the teeth of the human fossils she studies, and she might have to get a different job. In fact, Paleontology Professor Juan Luis Asuarga of Spain has found evidence that our Neanderthal cousins about 63,400 years ago (not our Homo sapiens direct ancestors, who may have thought that flossing was too tedious) had grooves on the adjoining surfaces of their teeth, possibly caused by the use of a stick passed between the teeth as a cleaning aid. Not floss, but close.